Welcome to the new city of Palm Coast on Florida's Northern Atlantic coast. 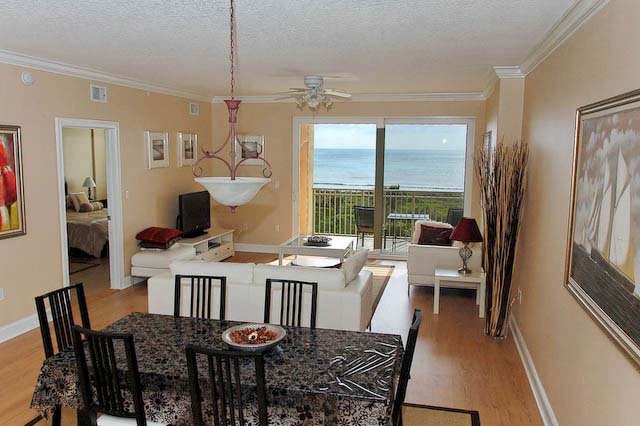 Surf Club 3 is a condo building situated directly on the uncrowded beach 1.5 miles south of Marineland. 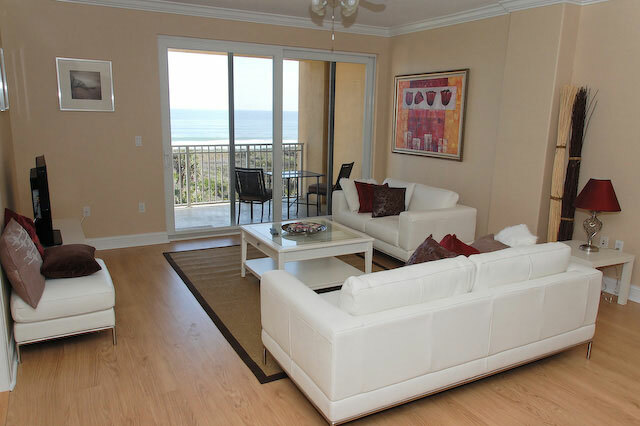 Surf Club 3 is part of the the Village of Matanzas Shores. 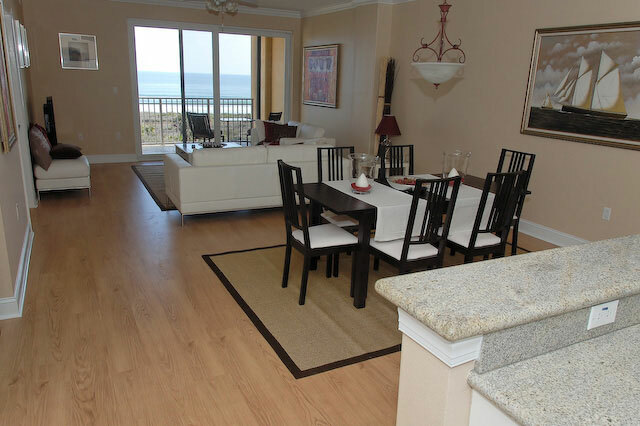 A 24 hr guarded and gated community with direct access to the Atlantic Ocean as well as the Intra Coastal Waterway. 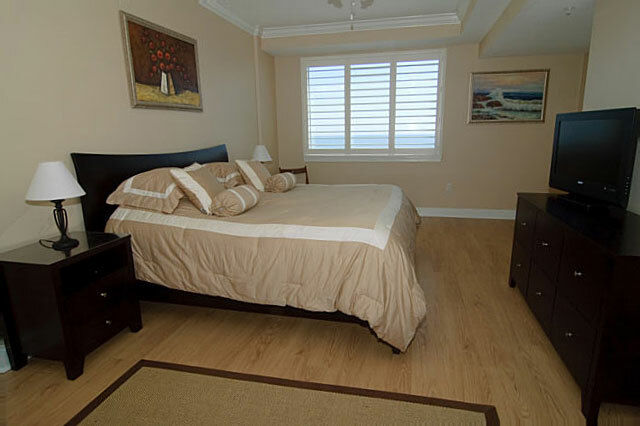 Here you can have a wonderful stay in our newly decorated condominium, just steps away from the beautiful sandy beach. You can relax in one of the three available swimming pools. 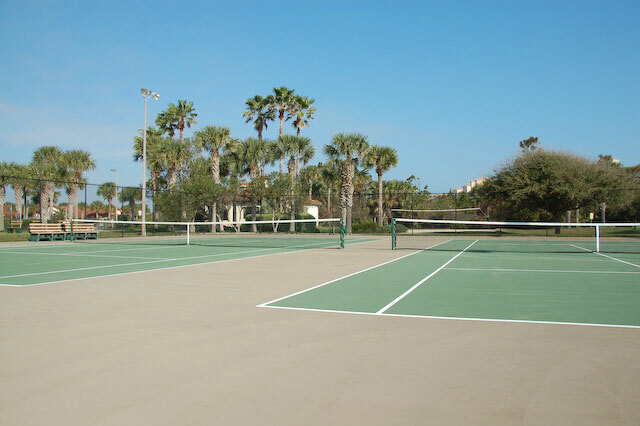 Play tennis on one of the six tennis courts. Enjoy the fishing on the Intracoastal Waterway or right of the beach. This place is surrounded by nature. 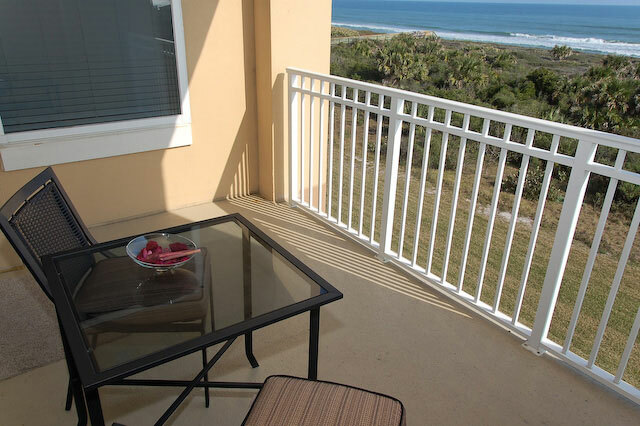 With a little bit of luck, you can see dolphins jumping out of the ocean while sitting on the balcony. From the boatdock on the Intra Coastal you can see manatees swim by. 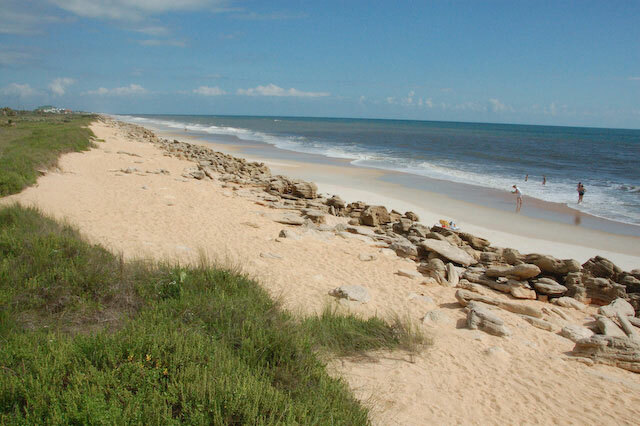 On the beach you can find nests of seaturtles, which of course are protected (May-October). During the winter months you can even spot whales, who come to the Atlantic waters of Florida to calve. There are lots of golf courses, many of them have signatures of famous names. Discover the Intracoastal Waterway by boat or kayak. Go deep sea fishing on the Atlantic Ocean. 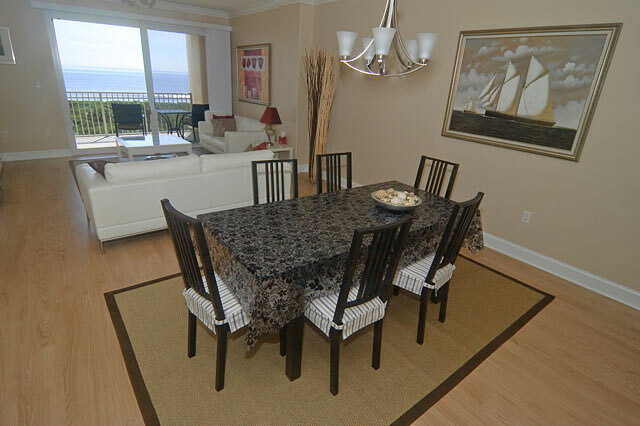 Our stylish decorated condo is situated on the third floor of the building. 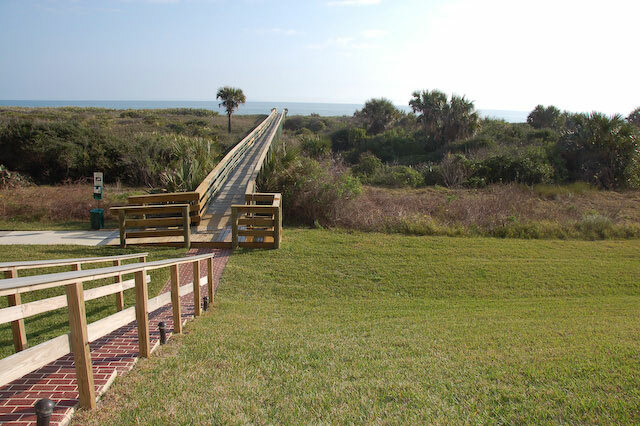 Here you have a magnificent view over the ocean and the wildlife refuge. 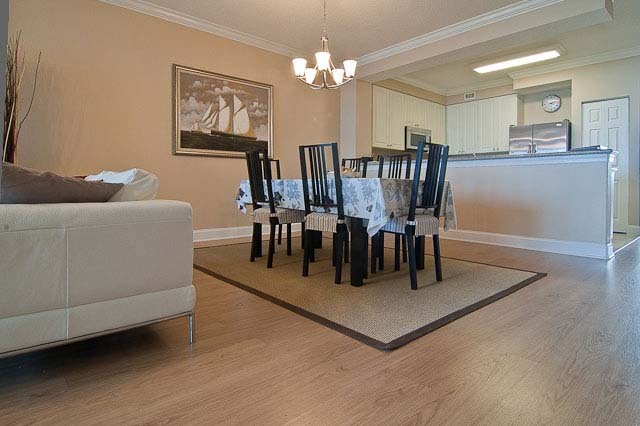 The condo has 3 bedrooms and 2½ bathrooms. 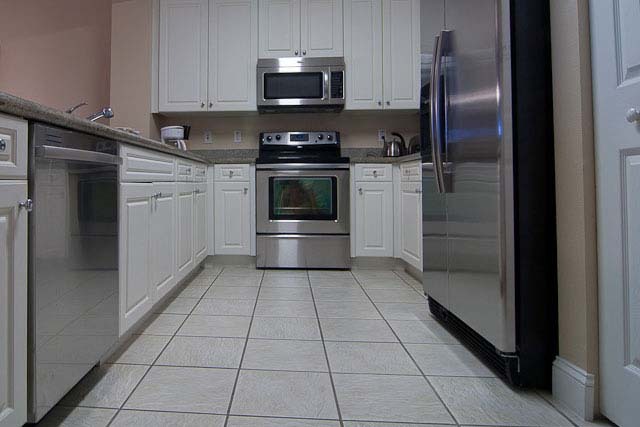 There is a fully furnished kitchen with oven, microwave and dishwasher. The unit also includes a washer and a dryer. This is a great place to feel yourself at home. 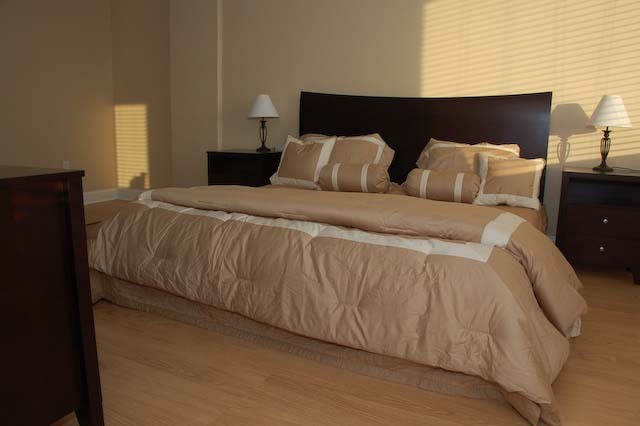 The large master bedroom has a king size bed and is equipped with a 32" flatscreen TV. From here you can watch the sunrise over the Atlantic Ocean. 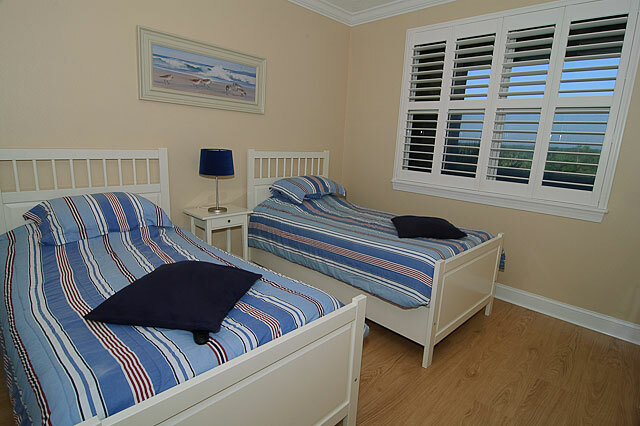 The second and third bedroom have 2 twin beds each. 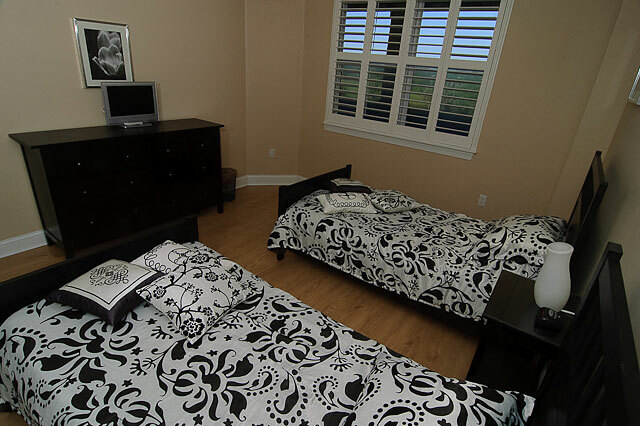 These rooms are provided with a 20" flatscreen TV. 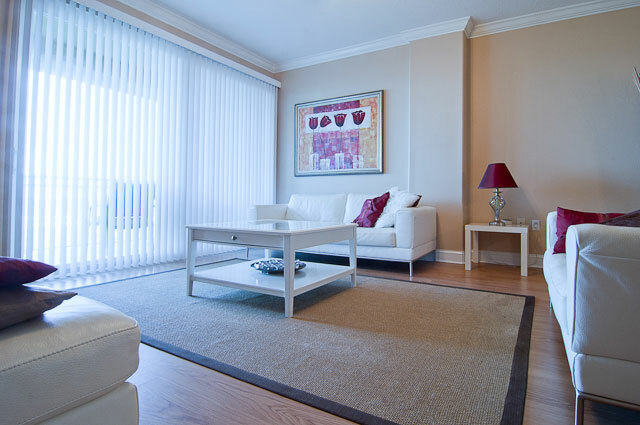 The spacious living area is furnished in a contemporary style. It has a large Flat Screen TV and a DVD player. You have also free wireless High Speed Internet Access. Just bring your own laptop and enjoy. 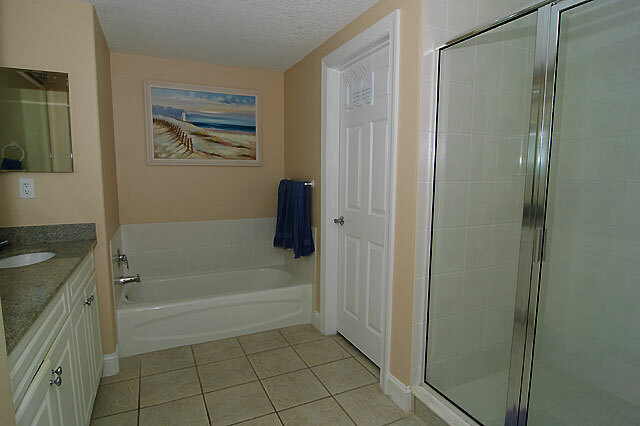 The condo building is provided with three elevators and underground parking. 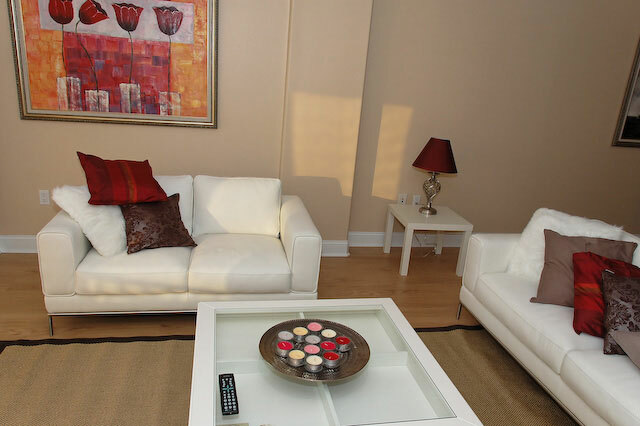 The spacious living room is furnished with a sofa, a loveseat and a footstool. 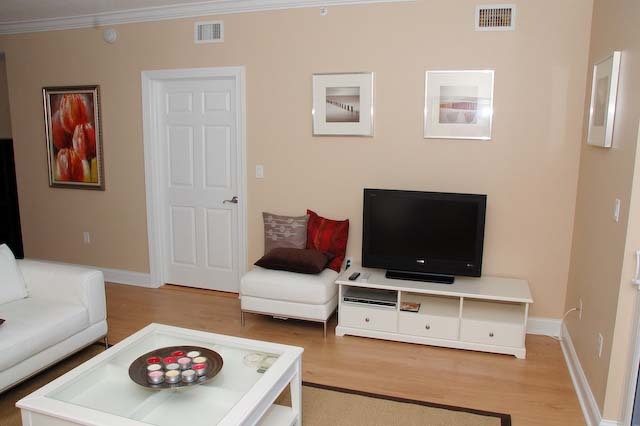 For your entertainment there is a 37" LCD TV and a DVD player available. From here you also have a wonderful view over the Atlantic Ocean. The kitchen is equipped with brand new stanless steel appliances (2010). The dining area is equipped with an extendable dining table and six comfortable chairs. 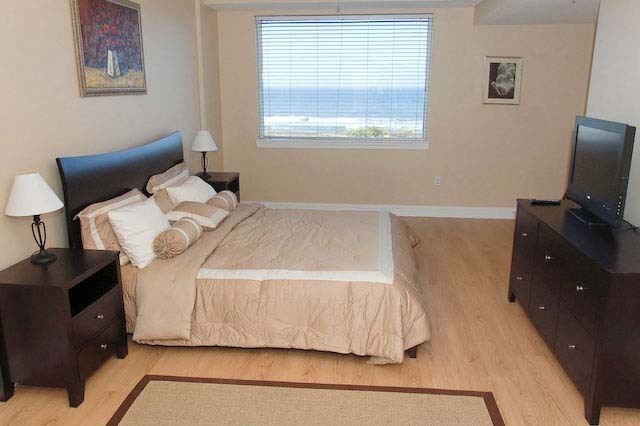 From the large master bedroom you can enjoy magnificent sunrises while watching the morning news on the 32" LCD TV. The two other bedrooms both have two twin beds each. One room has a stylish black & white design. The other room has a nice red, white and blue color setting. This is the heated swimming pool which serves Surf Club 2 & 3. Beside the large pool you also find a jacuzzi and a covered grill area. For children there is a fountain playground. 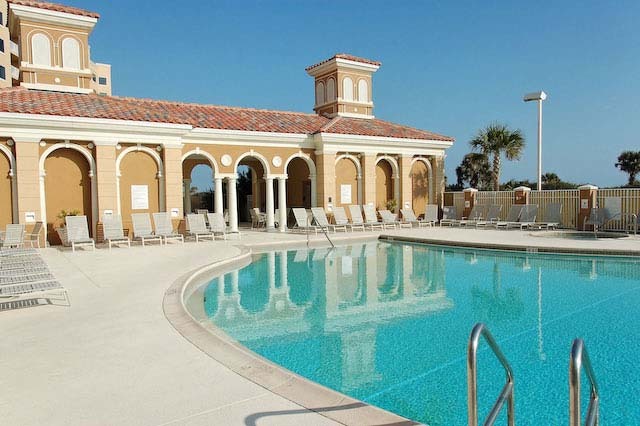 The Colonial Spanish styled Beach Club accomodates a large (unheated) pool, a small library and a large community center. 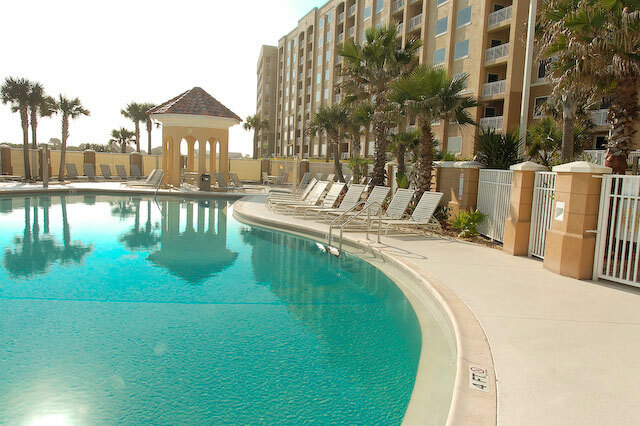 You can relax in a large shaded area at the pool's edge or get a nice tan on one of the many Chaise Lounges. This is a small pool located near the tennis courts where you can have a refreshening splash after a strainful tennis match. There are six tennis courts. Two of them are illuminated. 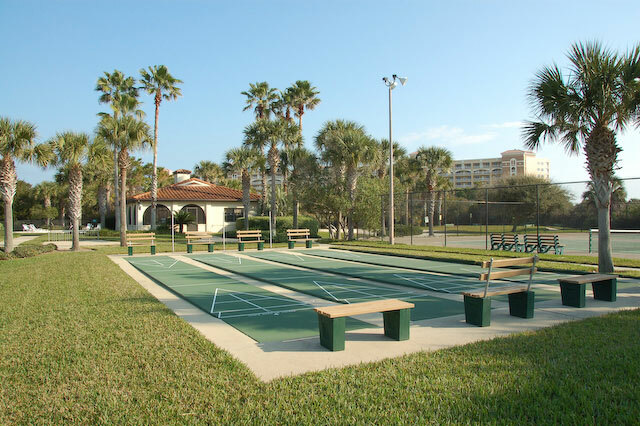 At the tennis club are also 4 shuffleboard courts, a volleyball field and a basketball goal. 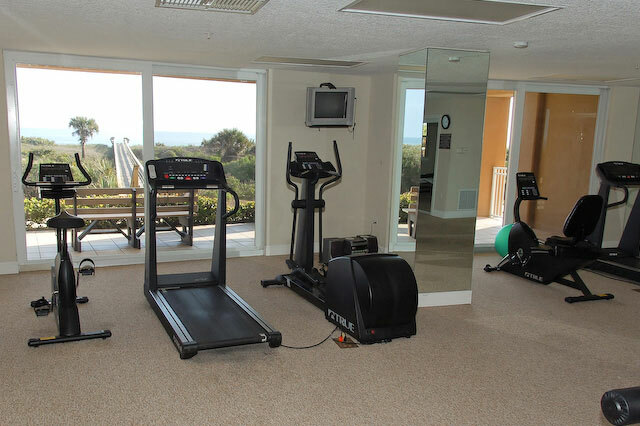 Stay in shape in the unique fitness room with the latest and greatest exercise bikes and treadmills. There also is an elliptical trainer and a modern weight bench. 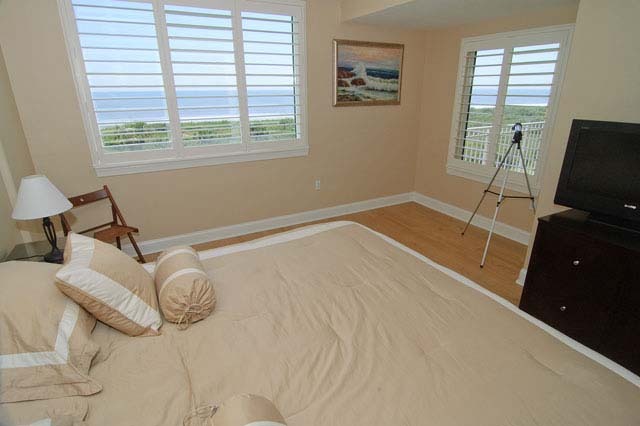 Enjoy your workout in this airconditioned room with a gorgeous view over the ocean! The boat club is situated at the Intracoastal Waterway. Here you can fish from the boatdock and enjoy the wildlife surrounding this place. Watch dolphins swim by and see birds of prey soaring the sky. There is a Wal Mart Super Store in Palm Coast as well in St. Augustine. Around Palm Coast you can find an abundance of golf courses. Many of them have signatures of famous names like Jack Nicklaus, Arnold Palmer and Gary Player. This is just a small selection of interesting places worth a visit. 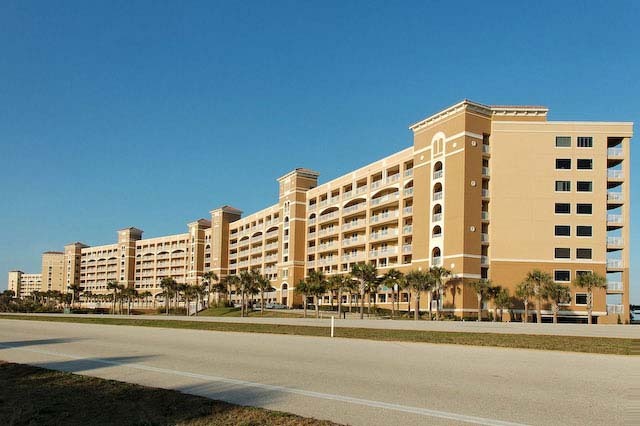 DAB - Daytona Beach, Florida – 39 miles, 48 minute drive. JAX - jacksonville, Florida – 76,5 miles, 1 hour 27 minute drive. MCO - Orlando, Florida – 105 miles, 1 hour 50 minute drive. TPA - Tampa, Florida – 178 miles, 2 hours 58 minute drive.